The friendly, knowledgeable staff at Scotia Dental is dedicated to meeting the unique needs of each of our clients, while delivering comfortable, convenient dental care. 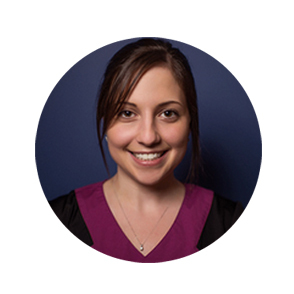 Mary-Anne, a native Haligonian and graduate of St .Mary’s University, is a passionate and accomplished dentist who provides comprehensive dental treatment. In 2001, Mary-Anne received her Doctor of Dental Surgery from the University of Western Ontario and has continued since then to expand her knowledge to provide the very best treatment for her patients. She has completed numerous intensive courses at highly recognized dental institutes including the Dawson Center in Florida, The Las Vegas Institute (LVI), and the TIDE implant certification in Toronto. Mary-Anne and her husband Michael enjoy spending quality family time with their two children. She also enjoys practicing and teaching yoga in her free time. A true Haligonian, Dr. Murty was born, raised, and educated here in Halifax. She makes it her primary goal to put a smile on the faces of each and every one of her patients. Dr Murty graduated from Dalhousie University in 1999 and takes great pleasure in returning to teach future dentists. She has a particular interest in periodontal treatments (gum therapy) and dental implants, recently receiving a fellowship from the International Congress of Oral Implantology (FICOI). With additional certification in oral and nitrous sedation, Dr. Murty hopes to make treatment easier for those patients who are a little anxious or apprehensive. She and her team look forward to working with you to meet all of your dental needs. Dr. Murty lives in Halifax with her husband and two young sons. In their free time they love to explore the great outdoors and our beautiful province. A three-time alumnus of Dalhousie University, Dr. Ahmad Hussein achieved notoriety early in his career, publishing in the top scientific journal in his field. Dr. Hussein is a Haligonian, who has lived in 8 countries across 4 continents and visited numerous countries. Beyond his professional career, Dr. Hussein has worked tirelessly at using his skills to give back to the community. He is an enthusiastic dentist who is constantly expanding and upgrading his knowledge to give his patients the best possible level of care with Implant Surgery being his major focus. He is a true Bilingual (Arabic/English) and is married with two children. Dr. Hussein enjoys spending time with his family as well as meeting new people. He looks forward to serving all of your dental needs. Ebrahim graduated from Dalhousie University, department of dentistry, in 2016 with distinction. He was the recipient of numerous awards in his graduating year including – American Academy of Oral Medicine Award, American Association of Endodontics Award for exceptional ability in endodontics, and the Nova Scotia Dental Association Award. Dr. Kiani, along with his wife and daughter, are very pleased to now call Nova Scotia their home. He and the Scotia Dental team look forward to serving all your dental needs with the most recent knowledge and technology. At Scotia Dental, we’re pleased to offer a full range of services, including general dentistry, cosmetic dentistry, implant dentistry, Invisalign and more to meet the needs of our patients. By combining the art and science of modern dentistry, we can help our patients achieve healthy, life-changing smiles throughout Halifax.